In the machine vision world, an increasing number of solution providers develop applications based on embedded computing technology. Embedded means that individual components of a vision system are combined in one device in these applications. System integrators can now make a small system with enough processing power to do something useful with vision – and that doesn’t cost too much – which they couldn't do five years ago. 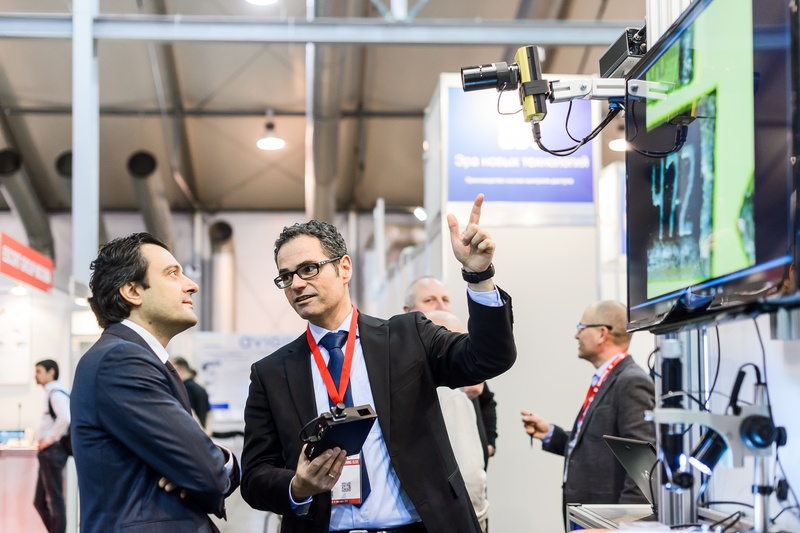 Embedded vision technology allows Russian solution providers and system integrators to take a new approach towards five traditional markets they have been selling to, and offer end-users a new level of security and business efficiency. 1. Retail – implementing self check-out systems; monitoring cash withdrawals and effectively help to prevent fraud for ATMs; getting visitor data and statistics to optimize advertising and store fittings. 2. Road and Rail Traffic – delivering high-quality images under most challenging conditions; doing most accurate number plate recognition; detecting lane violation, monitoring red light and speed compliance; doing free flow tolling, city tolling and access control; checking for rail and road maintenance neccesity. 3. Public and Freight Transportation– getting passenger data and statistics to optimize the number of bus or train routes; doing most accurate number plate recognition; cargo tracking, weighing in motion and vehicle identifying. 4. Sports Stadiums – increasing security; getting visitor data and statistics; motion analysis. 5. Law Enforcement – in-vehicle vision solution for police cars. What embedded vision means. What the benefits are. Who it benefits (from business and usage perspective). Why embedded vision shall be considered as an alternative to IP video surveillance and for which scenarios. What remarkable applications could be developed based on embedded vision for retail, traffic, transportation, sports and law enforcement. – All of those will be covered and showcased live at the Fourth Machine Vision Conference on November 24, at All-over-IP Expo 2016. Sponsored by Basler AG. For exhibiting opportunities please contact Alla Aldushina at aldushina@groteck.ru. Submit keynote speaking proposals to Olga Fedoseeva at fedoseeva@groteck.ru.